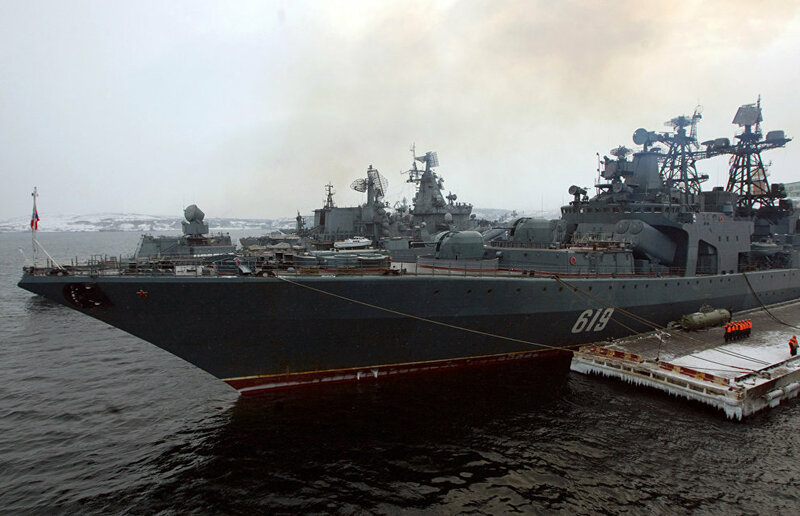 In 2015, the Russian Navy's Northern Fleet will take part in several large-scale Arctic exercises, including maneuvers for defending important national facilities in the region, Fleet Commander Admiral Vladimir Korolyov told RIA Novosti. "There are plans to hold a large-scale exercise aiming to defend Russia's important economic facilities in the Arctic this year. During this combat-training project, our Arctic motorized rifle units will cooperate with Airborne Force units and special forces," Korolyov said, noting that other details would not be disclosed. In 2015, it is also planned to hold several rescue exercises including those aiming to assist ships in distress to rescue people on the high seas, to resolve typical regional crises and to eliminate their consequences, Korolyov said. In the Novosibirsk Islands' area other exercises involving the Northern Fleet will be continued aiming to defend Russia'Arctic island zone and sea coast.